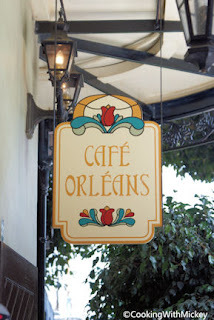 For those of you lucky enough to spend 24 hours in Disneyland Park you have several dining options to choose from for your late night/early morning food craving needs. 4 pm to 3 am - Roasted bourbon shrimp stuffed with Dungeness crab mousse served with angel hair pasta and spinach in a smoked tomato-habanero-artichoke sauce and prime eye of round with two quail eggs, roasted cauliflower and potatoes, Brussels sprouts and a cabernet sauce. 11 pm to 5 am - Their former breakfast menu: scrambled eggs, Creole eggs benedict, three-cheese Monte Cristo French toast, lump crab quiche, bananas Foster French toast and fresh fruit with yogurt and granola. “The Woodcarver” which has been off the menu for many years will return for this one night. Stop in for this special chili cheeseburger with fries. Select locations will be open in the early morning hours for coffee and/or breakfast. The following locations will be open for 24 hours (5:00 a.m. February 29 until 5:00 a.m. March 1): La Brea Bakery Cart; Ralph Brennan’s Jazz Kitchen; Jamba Juice; Haagen-Dazs; and House of Blues.